Eating is pretty much a hobby for me. I genuinely enjoy noshing on quality foods & drinks. When a representative from Natural Balance Foods contacted me about reviewing their raw, natural, & unprocessed cereal bars* I kindly said "yes, please & thank you." I'm always on the lookout for a wholesome & tasty snack. 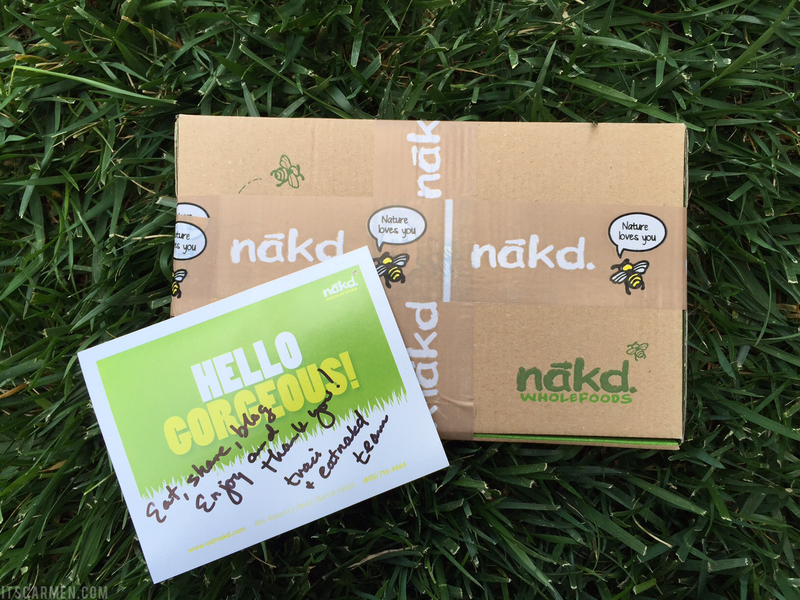 I received 13 Nākd bars to taste test. Let's break it down, shall we? 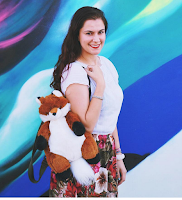 Natural Balance Foods is a predominantly United Kingdom-based vegan snack company & they were looking for bloggers to help bring the Nākd brand to the United States. The products are vegan friendly, gluten & wheat free & are made with no added sugar or nasties. The packaging is eye-catching, compact, & unique. I like that it clearly states how much of each ingredient is in a particular bar. 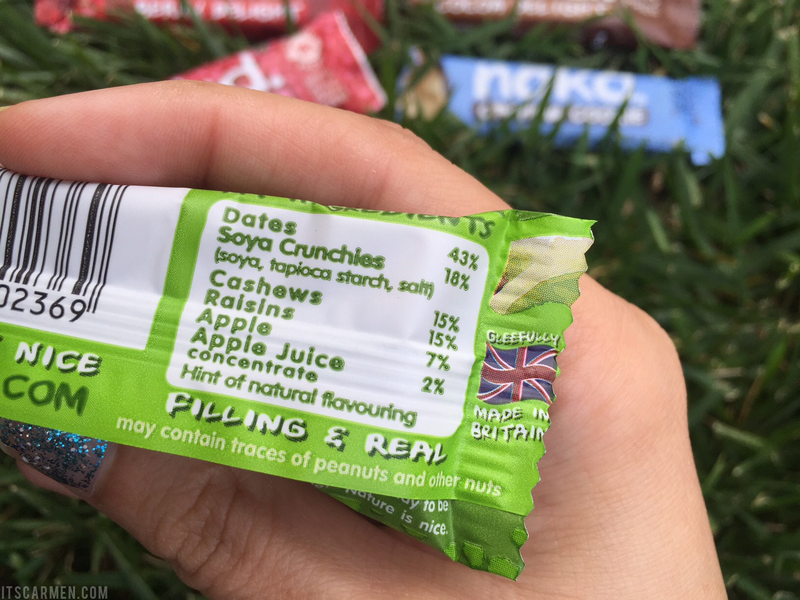 For example, the Apple Crunch bar shows that its ingredients are 43% dates, 18% soya crunchies (soy, tapioca starch, salt), 15% cashews, 15% raisins, 7% apple, 2% apple juice & just a hint of natural flavoring (I'm not exactly sure what that natural flavor is). The packaging even had me giggle with a little smiley face after the "may contain the odd shell or pit piece :)" or the best before date & then says "best before a friend nicks it." I enjoy little touches like that. 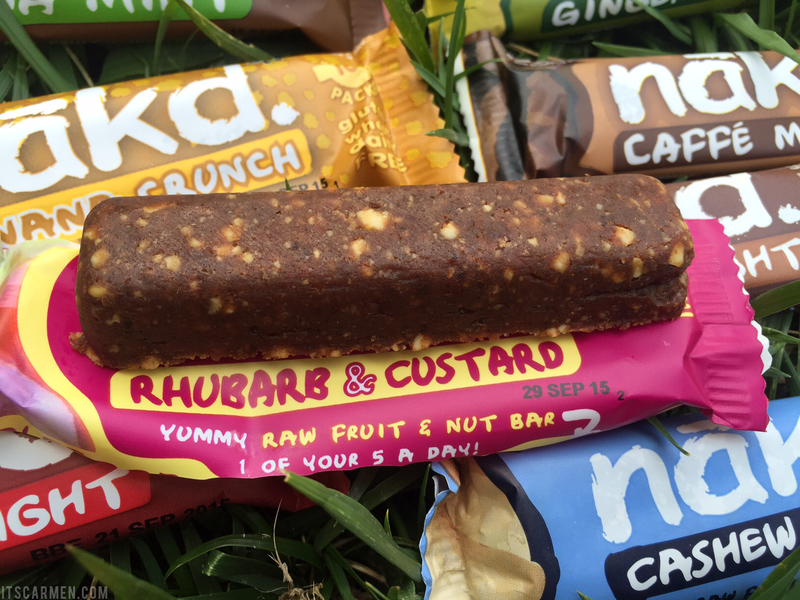 There are two types of Nākd bars: the Nākd Fruit & Nut Bars & then the Nākd Crunch Bars. Both of which have nearly the same texture -- chewy yet soft. The Crunch Bars have a crispy texture due to the soya crunchies. 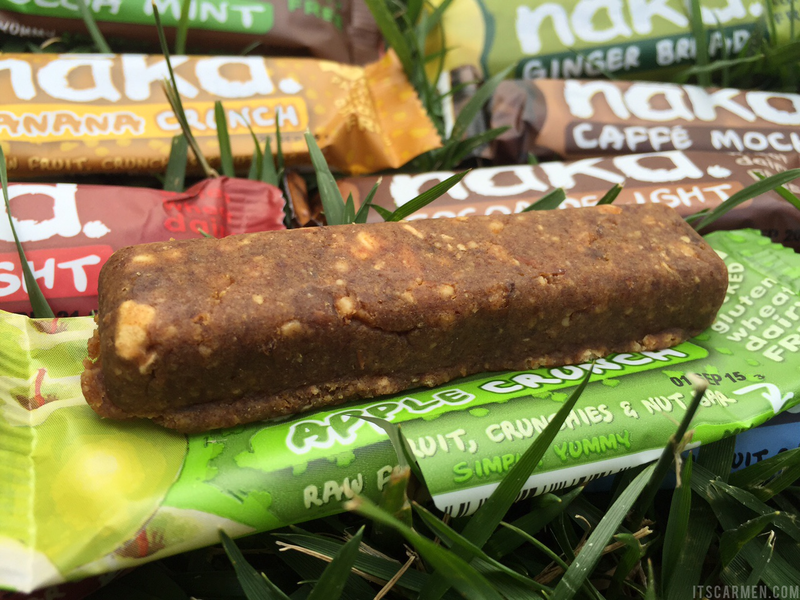 Since the Nākd bars are cold-pressed, they are condensed & won't just crumble to bits. Both types of bars have chunks of fruit, nuts, or soy bits to munch on, so it doesn't just disintegrate in your mouth. Overall, I prefer the Fruit & Nut Bars. If I'm being honest, the Nākd bars have a similar taste to Lärabar. 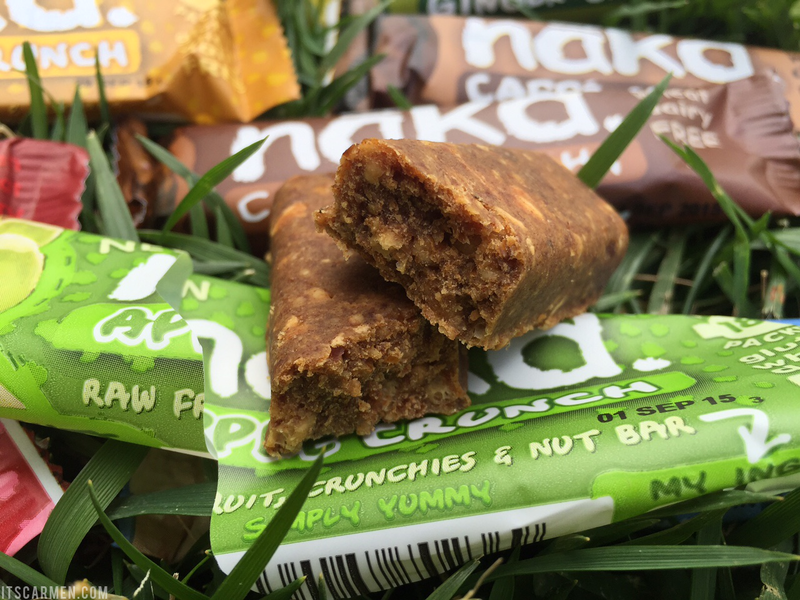 Both Nākd & Lärabar have a bar called Cashew Cookie & they taste nearly identical. 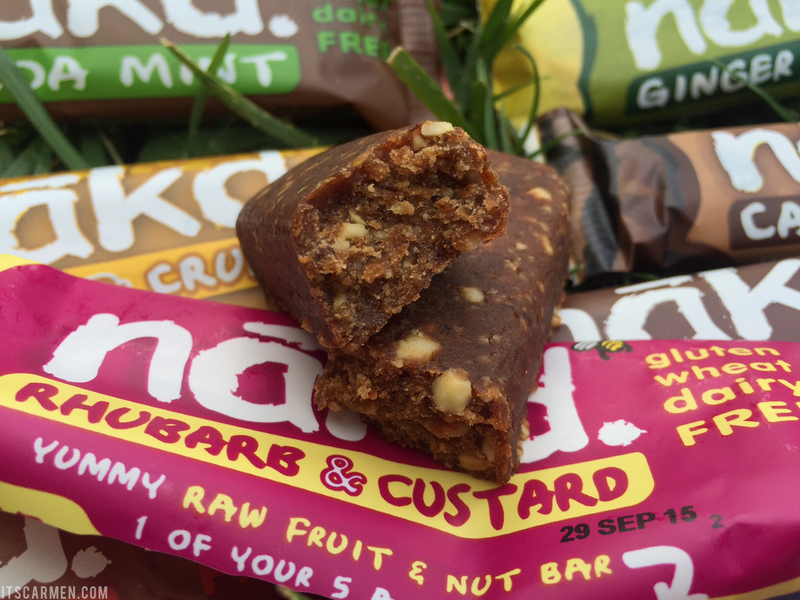 Nākd Bars contain 100% natural ingredients so there are no added sugars or syrups; they're made with raw fruits & nuts smooshed together. The sweetness is just right & not artificial. Although the sugars are naturally occurring, you should still check the label to verify how much is in each bar. For example, the Apple Crunch bar has about 14 grams of sugar with little bits of crunchies & dried apple pieces. On another note, I am a huge fan of chocolate but didn't really like any of their cocoa bars. 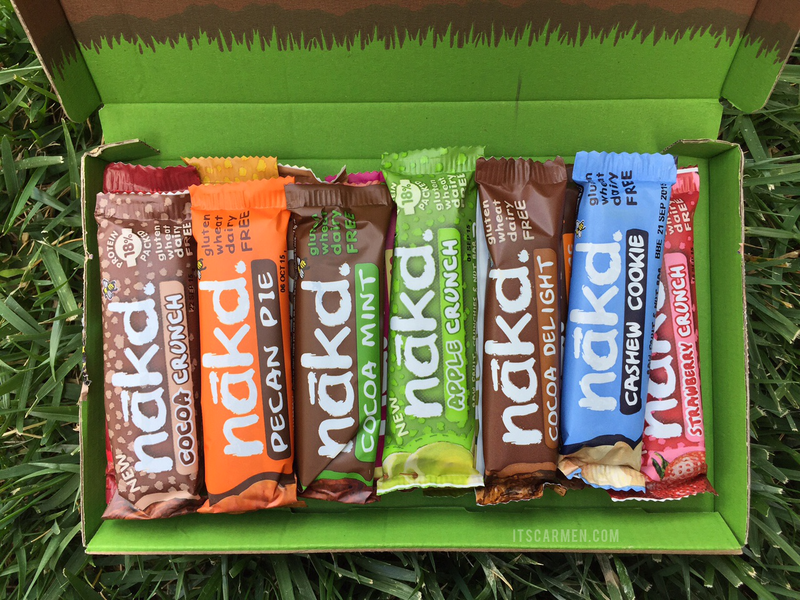 The Nākd Sampler Box runs for $9.99 for 13 bars. However, that's a discounted price given that you've never bought Nākd bars before; otherwise the Sampler Box costs $16.99 for the 13 bars. The Mixed Box of 18 bars retails at $22.99. Most bars like Lärabar & Odwalla run you at least a dollar per bar & that's when they're on sale. 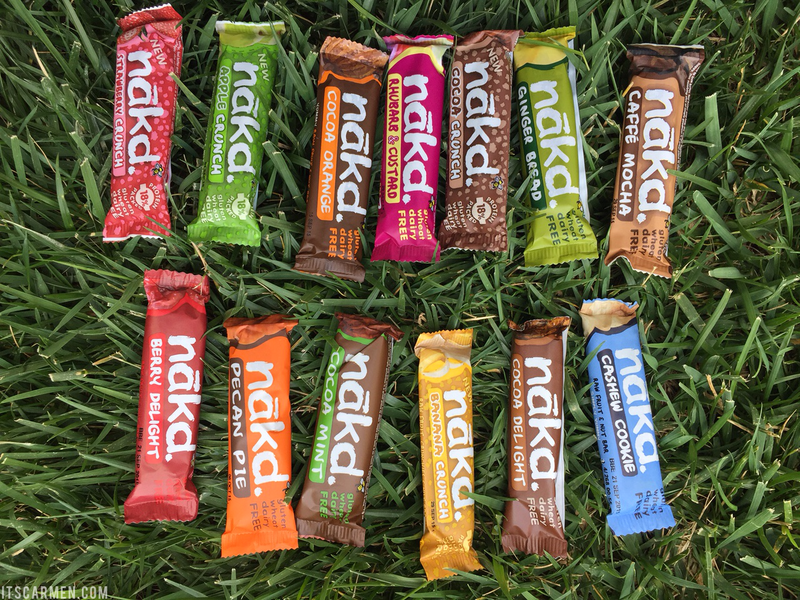 However, Nākd bars are much smaller than Lärabar & Odwalla. That's something to consider. Did I like the Nākd bars? Yes. Would I buy them myself? Yes, but only at the $9.99 price. 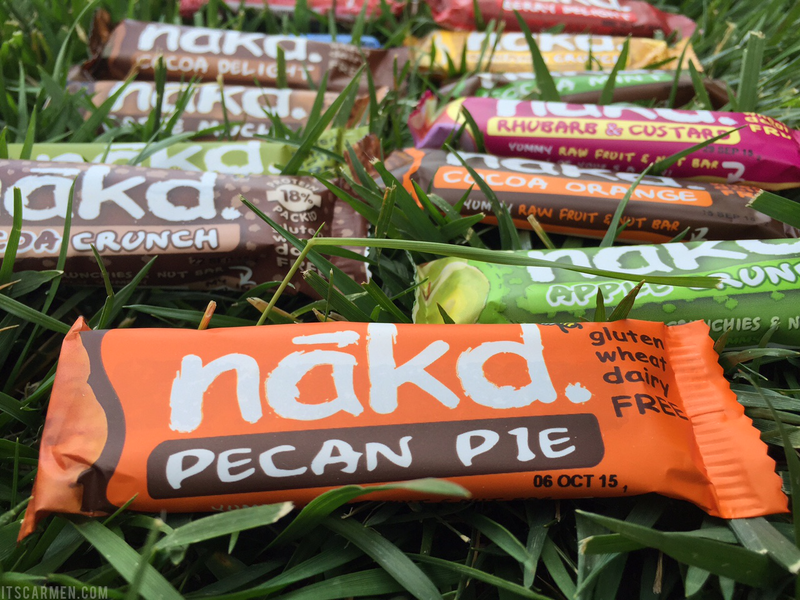 Nākd makes scrumptious vegan & gluten free bars with minimal ingredients & that's something I can appreciate. But I wouldn't pay more than $1 per bar, especially give their size. I wouldn't buy any bar for more than a $1 each. My favorite bars of the bunch would be: Banana Crunch, Berry Delight, Cashew Cookie, Ginger Bread, & lastly Rhubarb & Custard. I LOVE these. The cocoa one literally tastes like brownie. I have shared with my friend I love it !!!! It's so unfortunate that chips & cookies are so cheap but quality food isn't! These sound really good. I love trying new healthy options! They look delicious, but I agree that I wouldn't purchase any type of nut/fruit/chocolate/crunch bar for more than 1€. I'm all about healthier snacks, though! These bars sure sound so cute and what effective marketing strategy with the cute text. I always find it very difficult to swallow such bars. 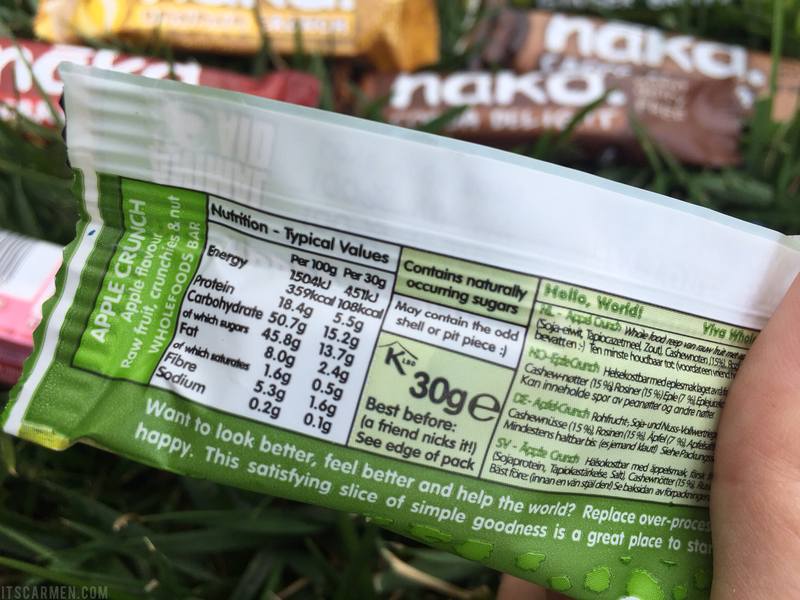 Maybe I'm not too much of a health nut yet though I must say that it's great that these bars are so natural and gluten and wheat-free! Thanx for stopping by my blog a while back. Hope to keep in touch! Omg! These look really good! But what do you think about the 40+g of sugar?! Does it taste really sweet? Thanks!! It's a great post workout snack. I've always wanted to try these! Thanks so much for giving such a detailed review. I'm with you, I'd go with the $9.99 too esp if they're so small. They look pretty good!! Great review. what cute bars! they look so tasty and delicious! I've heard about these and I'm dying to try them! They look so tasty! Never tried them, but I love how they list their ingredients and I love that there isn't too much sugar. It's still a bit more than I'd like, but considering it's all from natural sources I can live with it. That introductory price, $9.99, is pretty great. That's so cheap, considering my favorite bars (Quest Bars) sell for like $25+ a box smh. I live in Britain and see them all over - in health stores, supermarkets, everywhere really. I've never tried them though - perhaps I ought to. Gingerbread flavour sounds amazing, and much healthier than the regular version, that I seem to eat way too much of! An awesome review, may I add! 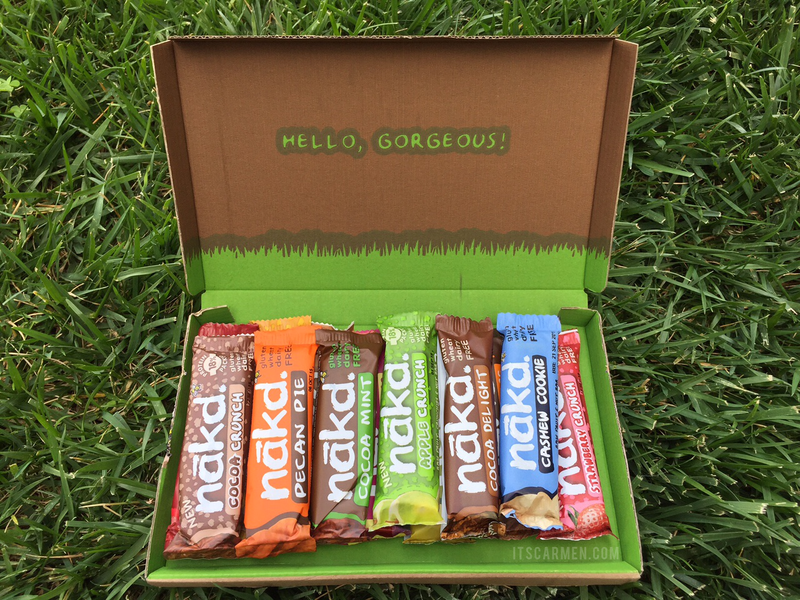 I love Nakd bars, so yummy! I wish they weren't so expensive though definitely puts me off. I LOVE these bars, I only discovered them a few months ago. They are so tasty, and so good for you too, well, it beats eating 3 snickers in one sitting. However, I've only tried cocoa and cocoa orange. I'm very keen to try the crunch and the mint - Nom! I wonder if those flavours are available over here yet? I haven't seen them.